Because Easter is this weekend, eggs are in the stores cheap so I’m taking advantage of it. I thought about making some wacky version of deviled eggs (because those seem to be “in” right now) but I’m too much of a fan of simple, plain deviled eggs to do that. I like my deviled eggs with good ol’ mayonnaise, not with chicken or avocado or bacon. And even though I plan on eating one or two deviled eggs this weekend, I’m still left with several eggs that I have do something with. 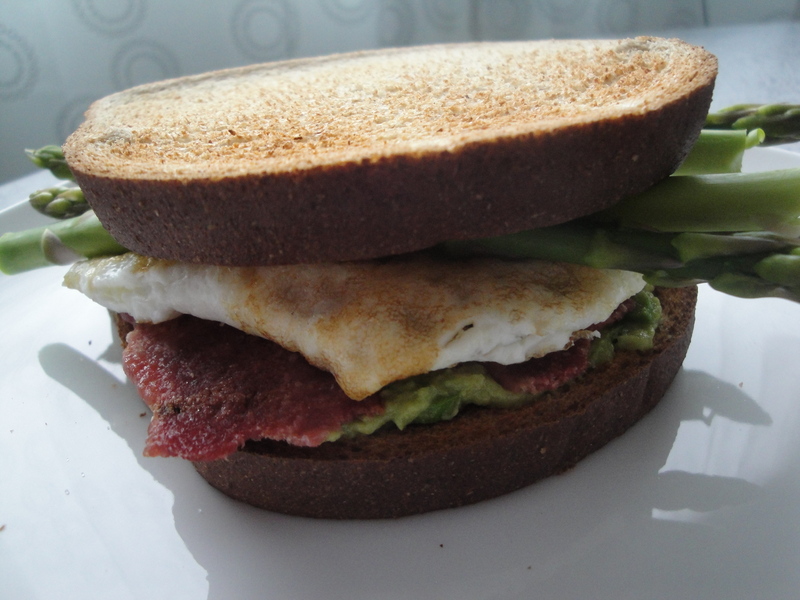 So this past weekend, I pulled out this recipe for Avocado and Asparagus Egg Sandwiches. I love asparagus so I’m no stranger to putting them in my omlettes but I hadn’t yet tried eggs with avocado. 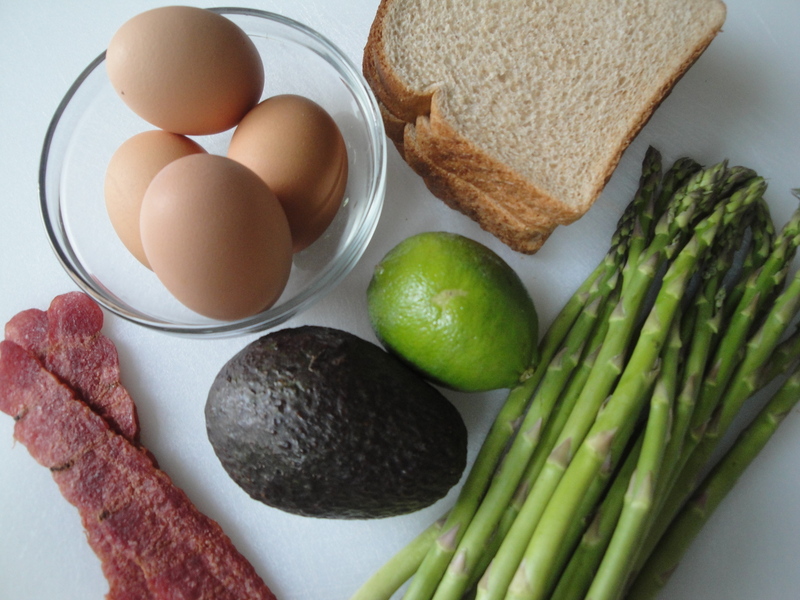 A mixture of mashed avocado and chopped asparagus are spread on toasted bread and then topped with bacon, a cooked egg, and blanched asparagus. After just one bite, this sandwich didn’t stand a chance – it was gone in seconds. 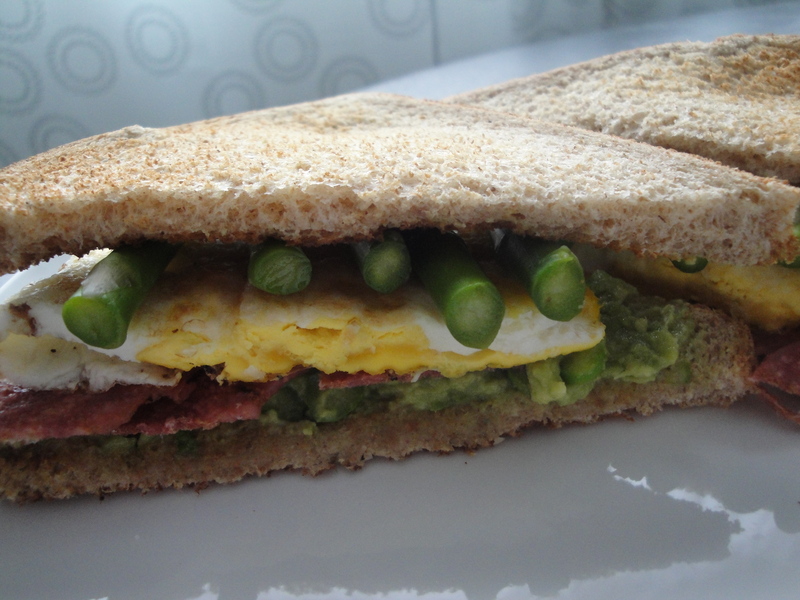 Egg sandwiches are great for any meal, not just breakfast, and this version is perfect for a light dinner. Delicious! 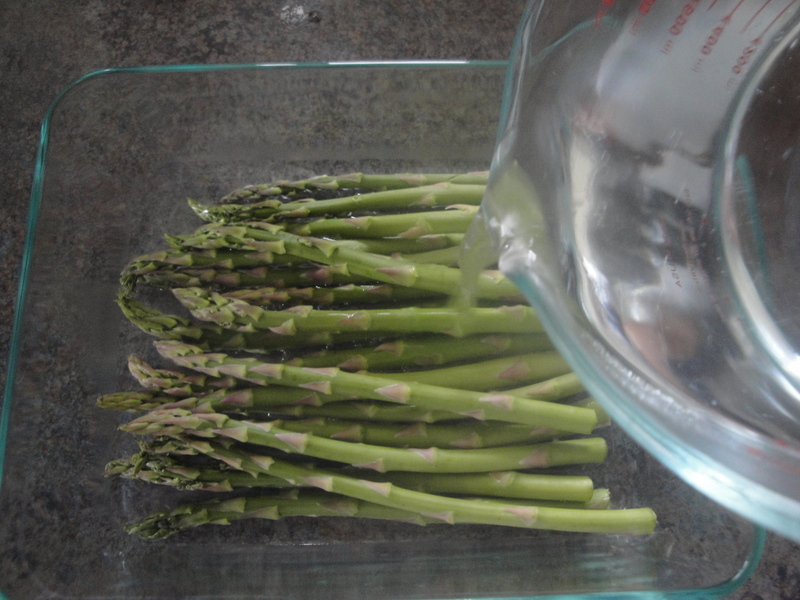 Boil 2 cups of water in the microwave or on the stove and pour over asparagus in a shallow dish. Let stand for 10 to 12 minutes and drain. 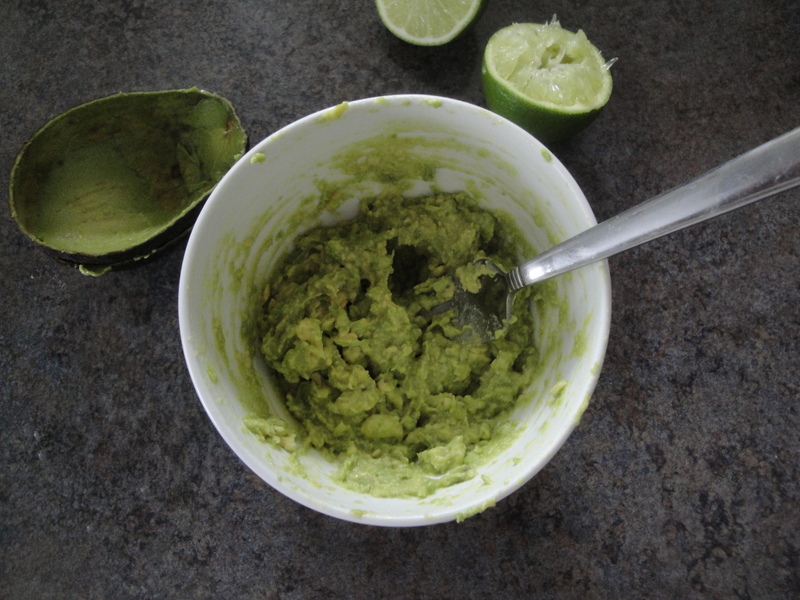 Mash avocado in a small bowl with lime juice. 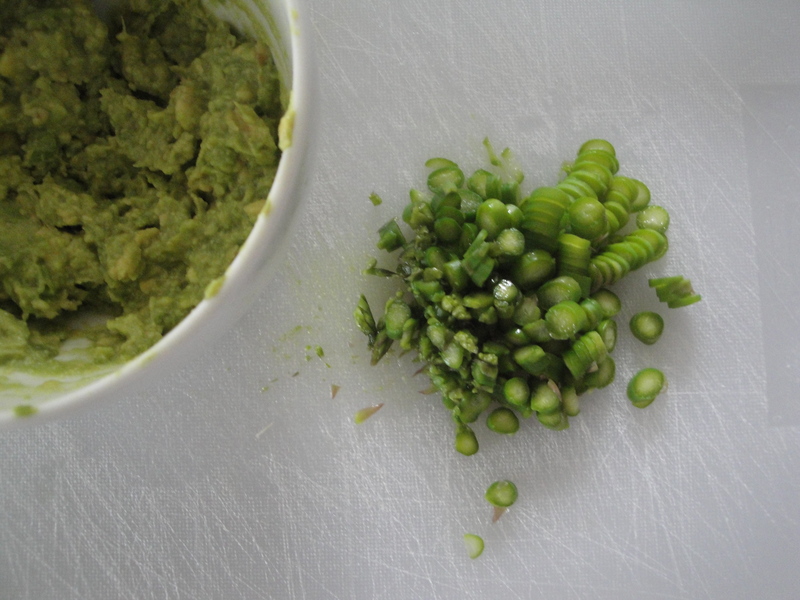 Chop 3 asparagus spears and add to the avocado. 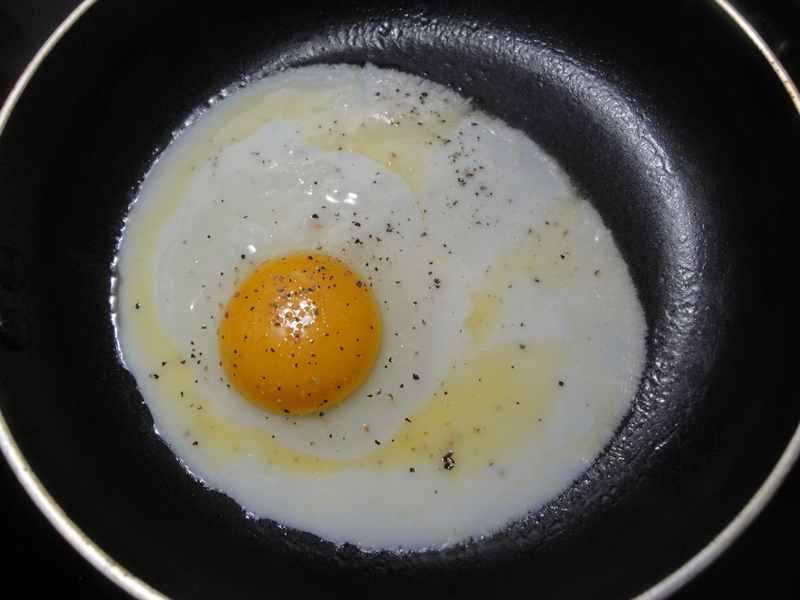 Cook eggs in a skillet with melted butter over medium heat. Sprinkle with salt and pepper and reduce heat to medium-low. Cook the eggs for 6 minutes, until whites are completely set and yolks begin to thicken. For a fried egg, turn the egg over and break the yolk to fully cook (as I did). 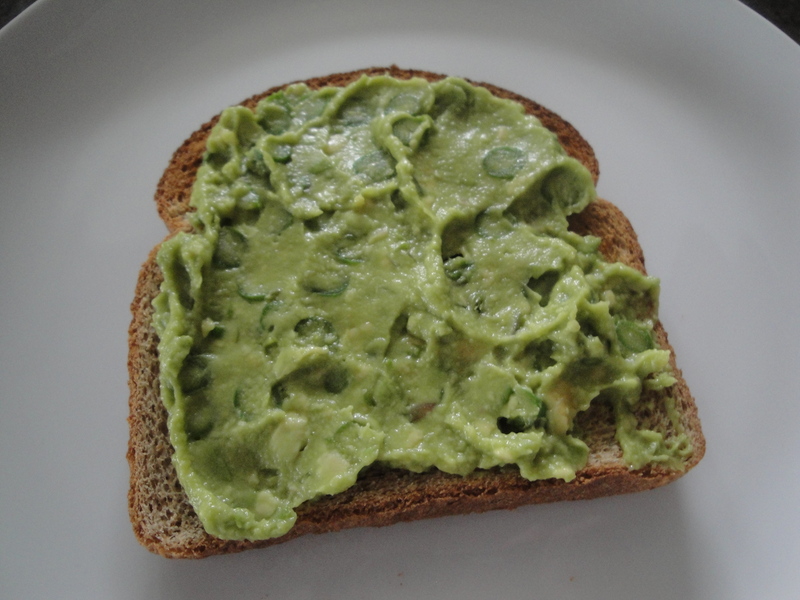 Spread the avocado-asparagus on toasted bread and sprinkle lightly with salt. 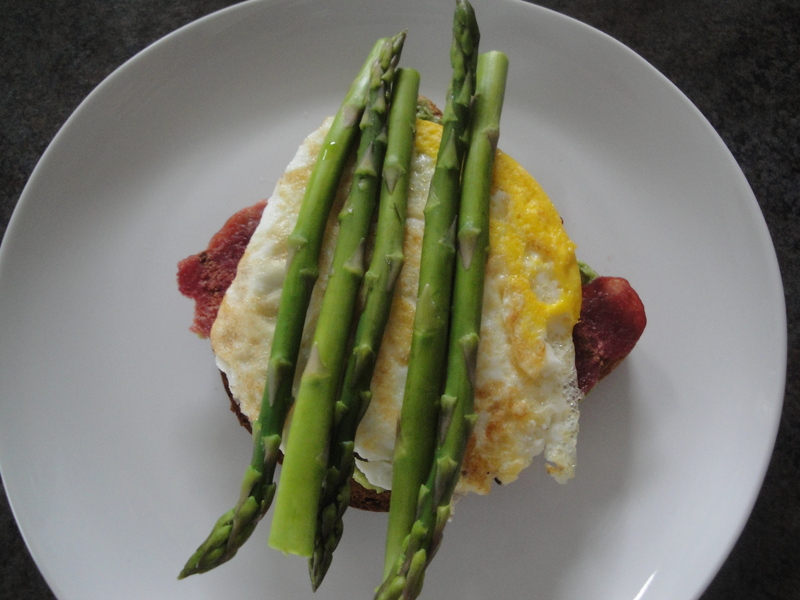 Layer bacon, egg, and asparagus over avocado mixture. Top with another piece of toast or eat as an open-faced sandwich.